Need Foreclosure help ? Amerihope Alliance Legal Services Call Today! Facing foreclosure might make you feel as though you’re in a skiff on the water, pushed around by a strongwind that won’t let you head in the direction you had in mind. Your skiff is made of mortgage debt… and that wind is your residential mortgage holder, blowing on you fiercely, and wiping you clean of your home and your dignity. If you felt your mortgage holder is being unfair or unreasonable, you’re not alone. 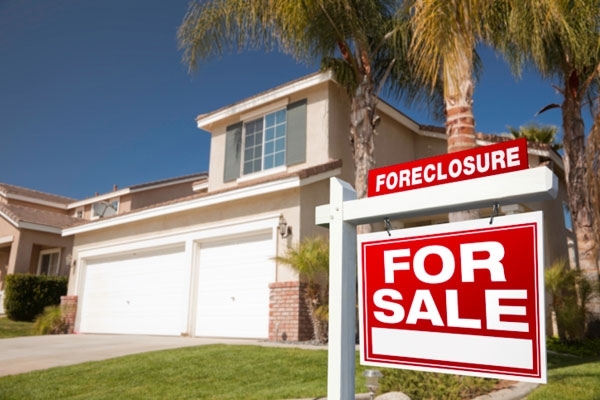 The government also had its eye on unfair foreclosure practices. The outcome: On April 13, 2011, the Office of the Comptroller of the Currency (OCC), the Board of Governors of the Federal Reserve System, and the Office of Thrift Supervision announced enforcement actions against 14 large residential mortgage servicers and two third-party vendors for unsafe and unsound practices related to residential mortgage servicing and foreclosure processing. New extensions to this program have recently been filed; check the bottom of this blog for more information on the deadline extensions and how to file for review. The government’s action was in response to complaints on fraudulent foreclosures, hence, the launch of an independent foreclosure review. Applications were mailed to people who fit certain qualifications and if; indeed, they were the victims of unfair foreclosure practices, in some cases they’d be reimbursed for monetary damages. The program entails a multi-faceted review of foreclosure actions in process in 2009 and 2010. Independent consultants evaluate whether borrowers suffered financial injury through errors, misrepresentations, or other deficiencies in foreclosure practices and determine appropriate remediation. If a borrower suffered financial injury as a result of such practices, the agencies’ orders require financial remediation to be provided. As part of that program, the 14 mortgage servicers covered by the enforcement actions began mailings November 1, 2011 that continued through the end of the year. The mailings were intended to provide information to potentially eligible borrowers on how to request a review of their case if they believe they suffered financial injury as a result of errors, misrepresentations, or other deficiencies in foreclosure proceedings between January 1, 2009 and December 31, 2010. Extensions have since been filed, and requests are still being taken from homeowners who feel they may have been wronged. The OCC has extended the deadline for homeowners who wish to submit for a review to determine if they were wrongfully turned away for a foreclosure. Requests for review must be postmarked or submitted online by September 30, 2012. Borrowers may visit www.IndependentForeclosureReview.com for more information about the review and claim process. Assistance with the forms and answers to questions about the process are available at 1-888-952-9105, Monday through Friday from 8 a.m. to 10 p.m. (ET) and Saturday from 8 a.m. to 5 p.m. (ET). The second option is to call us, your foreclosure defense attorney to gain insight into your paperwork and the options that are available to you and your family. For once, there is a mechanism in place to aid the homeowner. If you feel you are among those who were unfairly treated by your mortgage lender, take action. Don’t let yourself get blown out to sea.